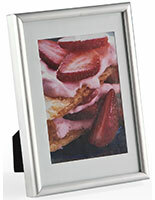 Aluminum Photo Frame w/ Brushed Finish & Matting | 5" x 7"
This photo frame can be used in numerous locations. The digital photograph display, photo frame can be used in your home to keep treasured family memories fresh in your minds. 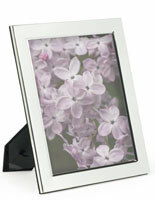 Use the photo frame in an office building for photos, artwork, or informational sheets. 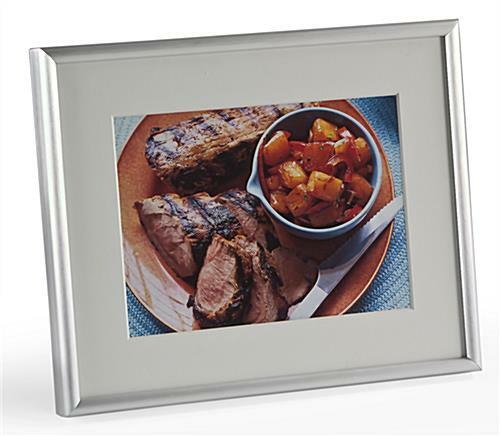 This photo frame, also known as a metal photograph display, can even be used in retail environments to advertise new arrivals, sales, or clearances. 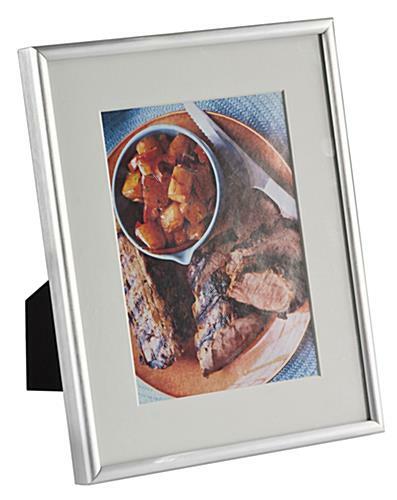 No matter how it is used, this silver photograph holder is the ideal photo frame for your needs! 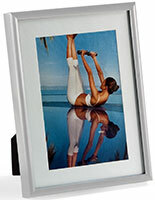 This artwork display, photo frame has many great features. 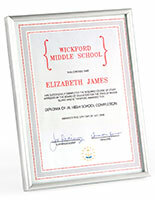 The sturdy aluminum framing construction resists many damages and is very durable, unlike traditional wooden frames. 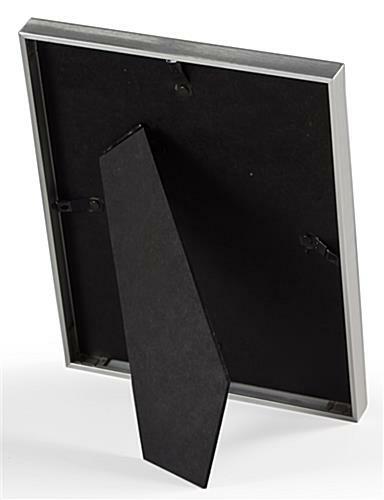 Heavy-duty metal clips secure your signage into the photo frame and flush against the protective glass overlay. 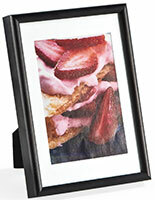 We offer this photo frame in the 8" x 10" size that is matted to 5" x 7”. 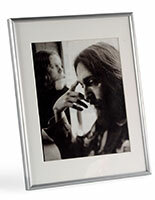 The matting is removable to create an entirely different display, as well. 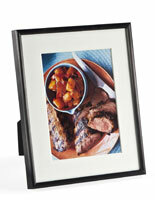 The photo frame can be oriented vertically or horizontally on a tabletop or wall-mounted.